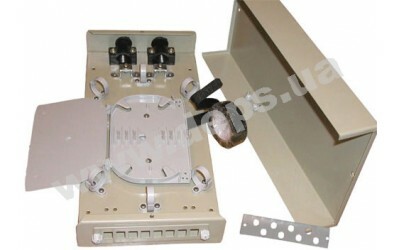 Steel wall optical mini-box allows for splicing of up to 48 optical fibers. Allows for entering two optical cables. Allows for installation of a replaceable front panel FC-08 or SC-08, up to eight adapters of FC or SC type. The box is the perfect solution for realization of lead-in distributors, telecommunication crosses, server rooms, and other communication centers with limited free space, and when bring out of the great number of fibers at a given unit is not required. 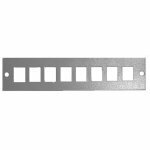 The mini-box allows for installation of 1 - 2 cassettes of S024 type (nominal capacity 12 splices, maximum - 24), and one front panel. The mini-box is stocked with 1 cassette and 12 sleeves. The front panel is bought separately. Dimensions: 353 x 170 x 50 mm. 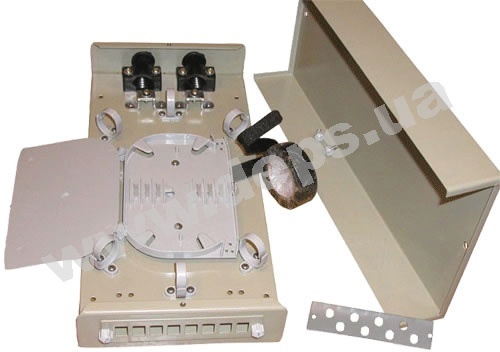 It allows for the installation of up to 8 optical adapters of SC type. It allows for the installation of up to 8 optical adapters of type FC or ST with nut fastening. 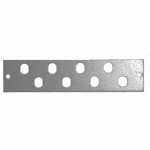 Splice-cassette of nominal capacity 12 and maximum 24 splices. Applied in closures Crosver FOSC-A024, FOSC-H024, and in boxes Crosver FOB-B024, FOB-C024.